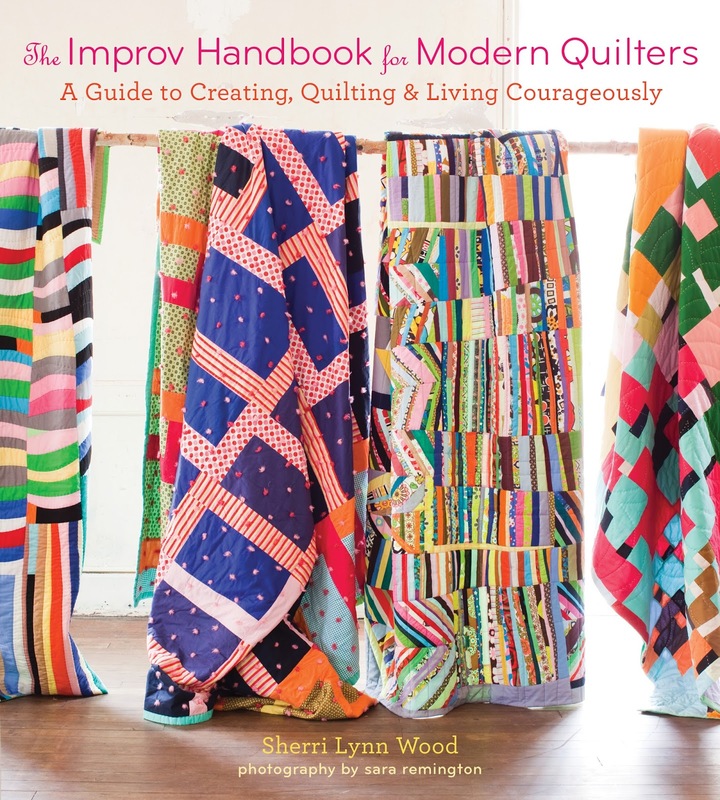 To celebrate the book and Sherri Lynn Wood's continued success with it, I was invited to participate in the Improv Handbook July Blog Hop—to talk about the process—along with several other quilt makers who tested one of the 10 scores. The July Blog Hop agenda is below. Watch for my post on July 8 and leave me a comment about what you think of the improv process or Sherri Lynn's book. Be sure to hop over to see how the other blogger/quilters interpreted their improv score. The quilts are fabulous! 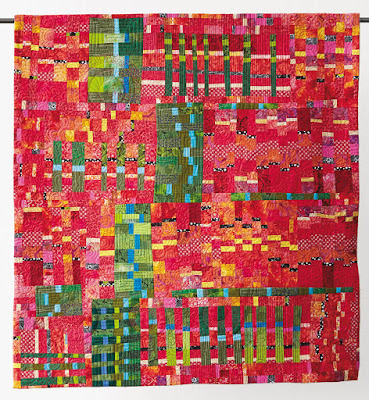 You also might want to be inspired by all of the 165 test quilts that were made (only 22 were chosen for the book). Here is the list of online galleries. Amazing work! Please check it out. 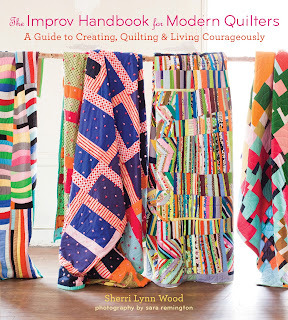 Get a copy of The Improv Handbook for Modern Quilters at YLQS or bookseller. 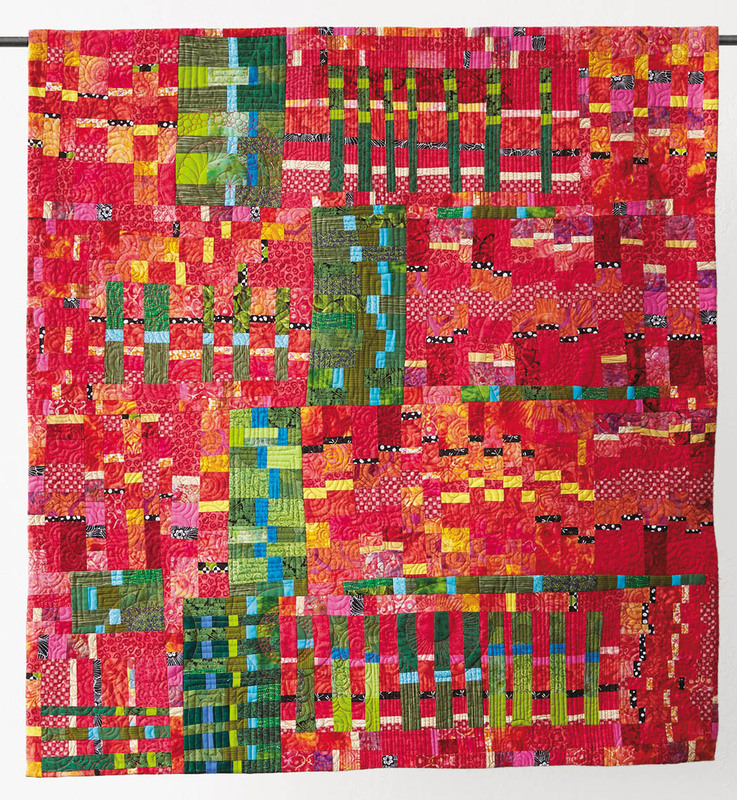 It's a great addition to any quilter's library.